We’ve long known President Trump is a “flimflam artist who dresses up a lot of nothing in showy garb,” said Jennifer Rubin in WashingtonPost.com. But his big announcement on the opioid epidemic last week was remarkably cynical even by his standards. We’re in the midst of a crisis in which some 175 Americans die from overdoses every single day, or more than 60,000 people a year. Yet rather than designating this devastating epidemic a national emergency, thus giving states immediate access to billions in federal disaster funds, Trump instead declared it a public health emergency. This “bait and switch” provides officials with “no new resources.” All it does is waive a few regulations— allowing federal funds for HIV treatment to be used to address opioid addiction, for example. Without billions for drug treatment, the epidemic of addiction and death will rage on. The president did have “a couple of useful ideas,” said Steve Chapman in the Chicago Tribune. Increasing access to telemedicine service, for example, will enable more people in remote areas to get addiction- treating drugs without seeing a doctor in person. But Trump also claimed he would discourage drug use with “really great” advertising— in other words, a patronizing “just say no” campaign that’s doomed to fail. In many cases, people first begin taking opioids because doctors prescribe them; besides, “people in communities where opioid-saturated corpses are piling up don’t need to be informed these drugs are dangerous.” Reducing the death toll requires a two-pronged strategy, said German Lopez in Vox.com. We need to improve access to “medication- assisted treatment” for addicts, only 10 percent of whom currently get specialized help. 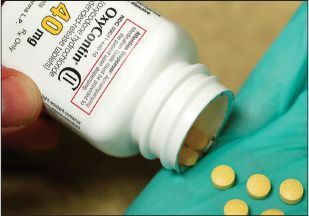 The medications buprenorphine and methadone reduce cravings for prescription painkillers and heroin, reducing the mortality rate in recovering addicts by as much as 50 percent. Just as important is stopping people from becoming addicts. That will require imposing tough regulations on pharmaceutical companies and enforcing strict prescription guidelines for doctors.